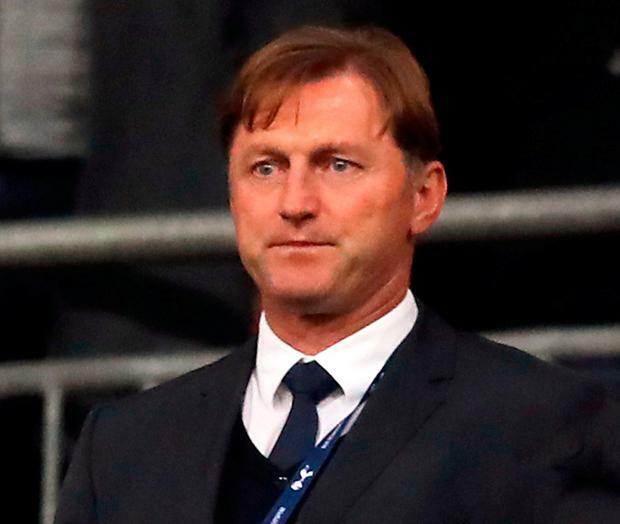 Ralph Hasenhuttl was christened the Alpine Klopp in Germany and Southampton's new manager will now be in no doubt that he and his players have a Premier League mountain to climb. 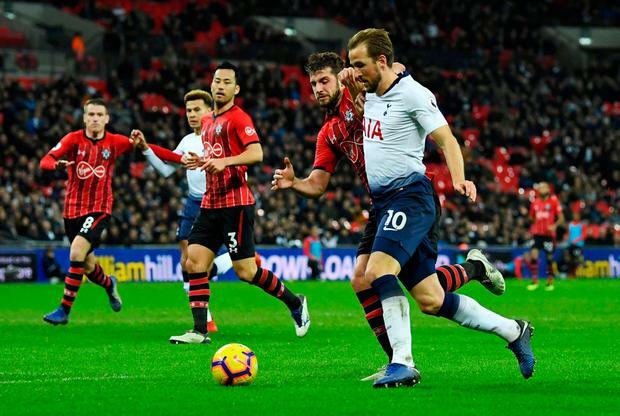 Goals from Harry Kane, Lucas Moura and Son Heung-min meant Tottenham bounced back from their North London derby defeat to Arsenal, and underlined the size of the task facing Hasenhuttl - despite substitute Charlie Austin's late consolation strike. Bottom of the table and without the promise of big money to spend, Hasenhuttl will need all his Klopp-like qualities to drag his new team clear of relegation - starting against Cardiff City on Saturday. 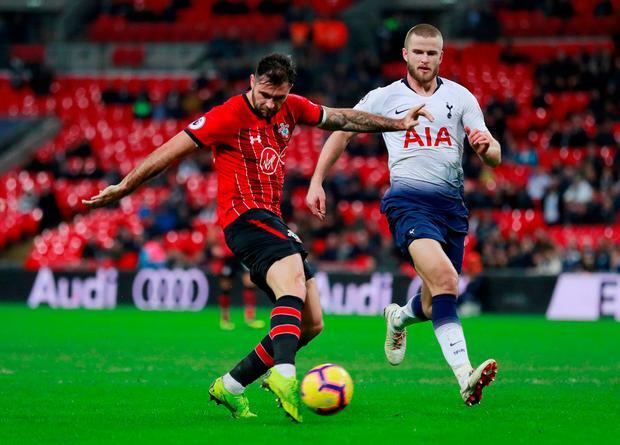 He was in the stands next to Southampton's director of football operations Ross Wilson and the pair barely had time for any small talk as Tottenham hit the post then took the lead inside the first 10 minutes. The visitors' frail defence was first exposed in the third minute, when Eric Dier's long ball was nodded on by Kieran Trippier and Son volleyed against a post. Manager for the night Kelvin Davis had made four changes from the Southampton side that had drawn against Manchester United, with Steven Davis, James Ward-Prowse, Manolo Gabbiadini and Matt Targett all coming in. Given his new team's bad start, Hasenhuttl will have been satisfied to have seen Southampton go in for the break only one goal behind. But the visitors started the second half just as badly as they had done the first and the game was effectively over in the 55th-minute.